DIY Dream Catcher with a unique twist!!!!! Happy New Year everyone!! I am excited to be on WordPress in 2019 and see what some of my favorite site’s posts this year. I will be starting off this year with a dream catcher DIY but, with a unique twist to start off 2019!! Also, I will be recycling some old materials to save them from ending up in the trash. You can make this DIY from recycled materials and use it as a decoration in your room. I hope you enjoy my post and let me know in the comments below what you think of this because this is my first time making a dream catcher. Step one – Take the end of the headband and connect it together making a circle. Then, hot glue it well enough so it stays together. Step two- You must use a thick scrunchie if you are using one or you could use thick strings and wrap it around the headband. I think string would be easier but, I went for the scrunchie. If you are using a thick scrunchie or hair tie, cut a slit in the middle big enough so the headband can fit in the pocket of the hair tie or scrunchie. Then close the pocket with hot glue. Step 3- Here comes the unique part!!! On top of a glass trace the circle of your headband covered with string or scrunchie using hot glue. Then, do patterns in your dream catcher using hot glue. This replaces the string you would normally use to make the patterns and makes it easier to draw on the really difficult patterns rather than making them with strings. You might want to lightly draw your circle and pattern using a pencil first so, you don’t make a mistake. As you can see in the picture, I went for a simple design but, you can make some really nice and complicated ones. Step 4- Carefully pull the dream catcher pattern out so it doesn’t rip off. Next, using hot glue, glue the pattern to your circle that you made using a headband. Step 5- Create a small handle using hot glue then glue the handle to the top of your dream catcher. Step 6- Now, hang the feathers beads and other decorations you have at the bottom of the dream catcher using hot glue. 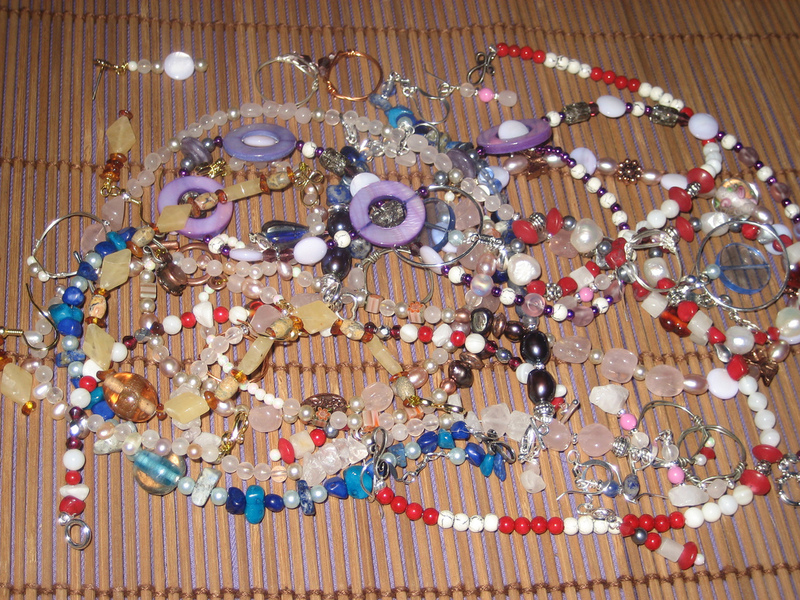 For mine, I used an old Fourth of July red necklace and cut it up and organized it to make it the way I want it to be. You can find these necklaces at the dollar store and they can be used in multiple DIYs. And that’s it-you are done! I decided to paint my handle brown and that is optional and it is up to you. You can even paint a pattern on the dream catcher. Christmas is right around the corner, and mugs are a perfect gift for family and friends. If you want to make an extra-special design, this craft is for you. Simply draw on your design and follow these steps, and you’ll have a fully functional and personalized mug! The most important part of decorating a mug is to remember to use the right materials. If you’re drawing on a mug just as a decorative piece, feel free to simply draw on your design with a normal marker and you’re done. 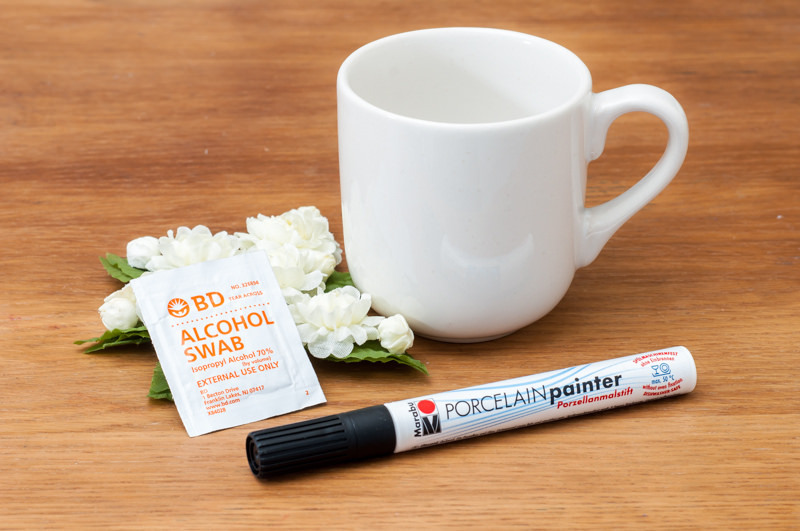 But if you want to be able to drink from and wash your mug, you have to use special oil-based sharpies. The first step to decorating your mug is to draw on your design with the sharpies. It’s helpful to sketch your design on with pencil first, but if you do make a mistake, rubbing alcohol or hand sanitizer will take the marker right off. Some design ideas you could do might be name of the person the gift is for, a special message, or just a cool drawing. Try to avoid drawing where you would hold the mug or put your mouth, to help preserve the design. The next step is very important. You need to bake the mug in the oven in order to set the design. Bake the mug in the oven at 250 degrees for two hours. Make sure the mug is safe to be baked. Once the mug is done, your design should be set to be washed. Be sure to only hand wash the mug, to avoid chipping the design. Once the mug is baked and washed, you’re good to go! Now you have a personalized mug that will make the perfect Christmas present. This one’s pretty self-explanatory, but basically all you need to do is wrap as many patterns of duct tape as you want around the cup and voilá, you have a fresh and fun pencil cup. This one is a bit more complicated, but pretty easy. Be sure to do this over a protected surface though, because it can be a bit messy. First, paint the cup with a layer of acrylic paint. Once this is dry, use another color of acrylic paint. Put a good amount of paint on a paint brush and then, angling it toward the cup, flick it against a Popsicle stick. This will send paint flying onto the cup in a splattered pattern, which looks super cool. Repeat this for the entire cup in whatever colors you please, and then let dry. Once it’s dry, you have a cool galaxy-splatters paint pencil cup. For this one, all you need to do is get a plain white mug (you can find these at Target or Home Goods) and some colorful sharpies. Or a black sharpie, do what you want. Just draw your design on and there you do, an original pencil cup. It’s helpful to sketch the design on first with a pencil, to prevent mistakes. If you do mess up, don’t worry! You can use rubbing alcohol or hand sanitizer to rub of the sharpie. Decorated mason jars are useful for all kinds of things- pencil cups, storage units, or even just as pretty decor. Here’s how to make a cool splatter paint one. The first thing you need to do in order to splatter paint a mason jar is to obviously get a mason jar. You can find these at craft stores, grocery stores, or even up-cycle an old food container. Just make sure to properly wash and remove the labels from a food jar if you choose to use one. Once you have your mason jar of choice, you need to paint a base coat. Using any color of paint you desire, use a paintbrush to completely cover the jar in paint. Be sure to do as many coats as you need to make the color fully opaque. You can also use spray paint for this step, but acrylic paint usually looks better and more saturated. Now it’s time for the splatter part. First, put down a surface to paint on that you can mess up. Splatter paint can go everywhere, so be sure to also wear old clothing. 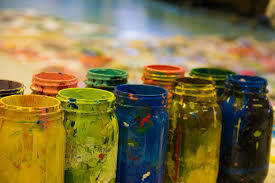 In order to splatter paint, you need to dip a paintbrush in a different color than you already used to paint the jar. Place the jar on its side (once it’s fully dry) and gently flick the paintbrush agains the popsicle stick above it. This will send small droplets of paint onto the jar, creating a “splatter” effect. Rotate the jar to cover the entire surface, and be sure to be careful of the wet paint. Once it is entirely covered, you’re done! Now clean up your workspace (or not) and enjoy your new galaxy-splatter-rainbow mason jar! The first step to making a wooden sign is to paint your wood. make sure your wood is fairly smooth and splinter free. You can buy smooth wood at a craft store or sand your own scrap wood to make sure it is paintable. Once you have your wood ready for painting, you can pick any paint color to fully coat the wood with. Use a thick paint brush to evenly coat the wood with, making sure to do as many coats as you need to get the color fully opaque. You don’t need to paint the back (you can if you want to be thorough), but be sure to get the sides as they will show when you display the wood. Once the paint is completely dry, use a pencil to lightly sketch your design or lettering on the surface. 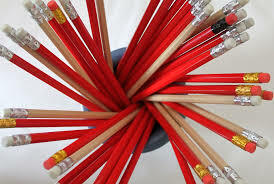 You can erase or wipe off the pencil if you make a mistake, but you can’t erase paint pen. When you have your sketch ready to be traced, use any color of paint pen to go over the lines. 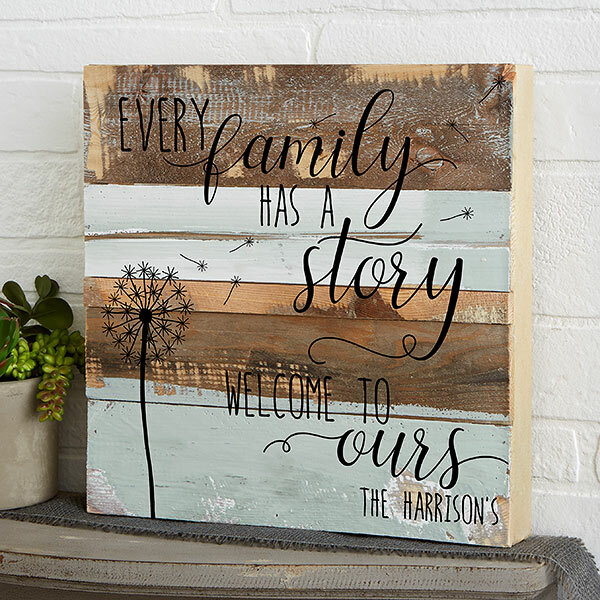 Once it dries, you have a customized sign ready to be displayed wherever you want! The first step to making a jewelry tree is to find a small branch or sticks to be the tree part. You can find some outdoors or at a craft store. Once you have your base, use some yarn to wrap the entire branch with it. The entire surface should be covered. Tie the ends of the string around the ends of the sticks. Then, fill a mason jar part way with decorative filler or small rocks. Position the bottom of the branch of sticks into the filler, and once they are properly placed, fill it the rest of the way with filler. Now that the branch is firmly and strongly placed, you can start adding necklaces or bracelets to the branches. If you have a special photo that just doesn’t seem to have the right frame for it, you’ve come to the right place. Here’s how to make a custom, decorated frame. The first step to decorating your frame is always obviously to get a frame. 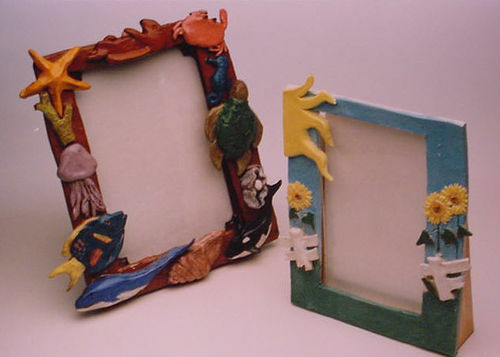 You can find plain black plastic or cheap wooden frames at a local craft store or Target. Make sure the frame has the correct dimensions for you photo and is the right type for crafting. You want to avoid getting a frame that is not meant to be decorated, because these will be more expensive and may not hold paint very well. Next, you’ll want to paint the frame. Using your acrylic paint color of choice, paint thin and even coats of paint until the frame has an opaque color. Then, once the paint is completely dry, add stickers and small decorations. Stickers can be stuck down usual, but if you are using flat stickers be sure to also apply a coat of Mod Podge over top of the entire frame to avoid them falling off. If you choose to add other small decorations, such a craft flowers or 3D stickers, use Mod Podge or hot glue to stick them down securely. Once everything is dry, you can add you photo and enjoy your new, customized frame.